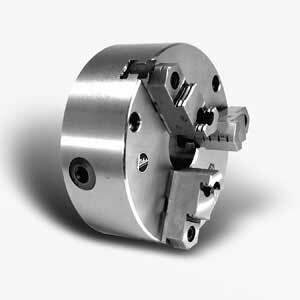 Series 332 Heavy-Duty Flatback, A, L, and D Type Mountings, Sizes 20" thru 32"
Size Chuck No. Size Chuck No. Size Chuck No. Consult factory for chucks sizes larger than 32". Note: Dimensions are for flatback chucks; for A, D or L mounted chucks dimension B15 will vary, add approx. 1" to B15 dimension. (1) Model No. 2033-2A11 and 2433-2A11 have a 6.5" thru-hole.